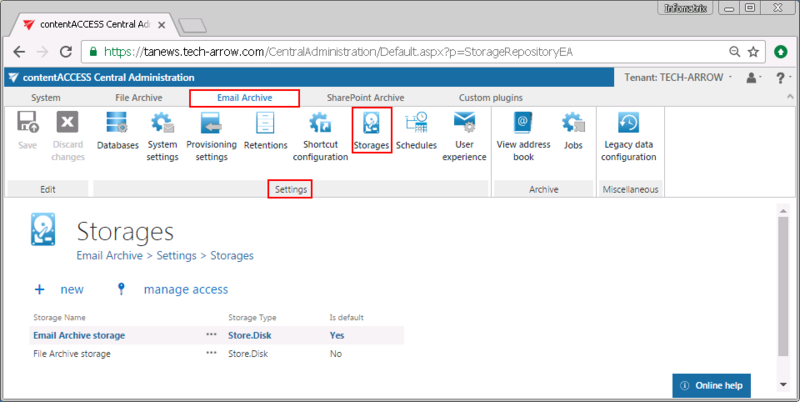 Navigate to Email Archive ⇒ Settings ⇒ Storages. The grid of already configured email archive storages can be found on this page. Here you can set up a new storage, where the binaries will be stored during the archiving process. For further information on how to set new storages check section Storages above.